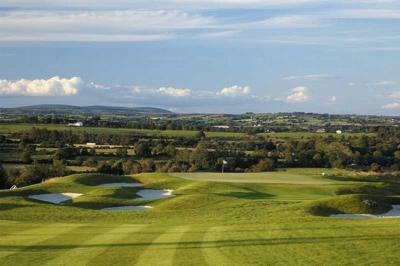 Lock in a great price for The Blarney Hotel & Golf Resort – rated 8.4 by recent guests! Friendly staff, had food in the bar and it was good. The Hotel was very Modern and comfortable. 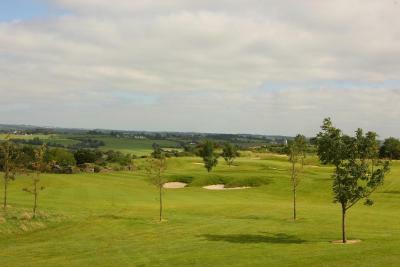 It is in the country and you could not walk to Cork or Blarney Castle from here but it was very quiet and serene. Rooms are huge and very comfortable. Air Conditioning. You will need a car if you are staying here as it is not close to Town. 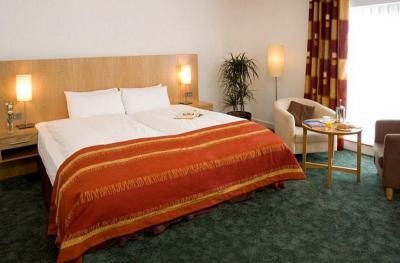 Friendly staff, good food, Clean and well laid out rooms and hotel. Super quiet property. Was part of a golf course but no noise at all. Full kitchen downstairs in room and town was a very short drive away. 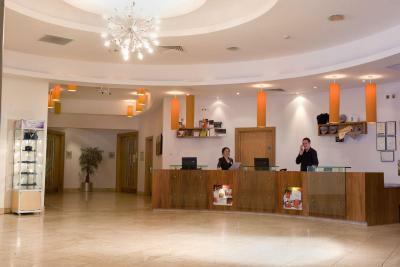 Most pleasant staff I have even seen at a hotel. The extra space of a living room and kitchen were a plus. 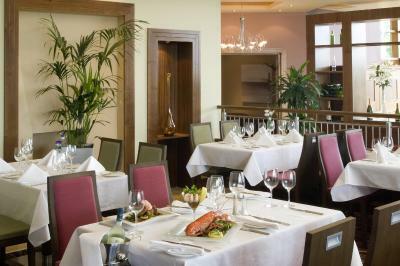 The food in the Bar was very good. Rooms were spacious. Pool, hot tub, steam room & sauna were excellent. 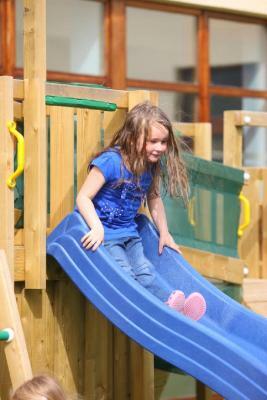 lovely staff, great breakfast, spacious room, pleasant surroundings, goid facilities for kids. The family apartment was spacious with very nice surrounding . 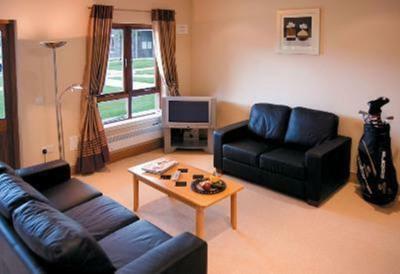 Clean, warm and comfortable self catering accommodations that allowed pets so an extra bonus! 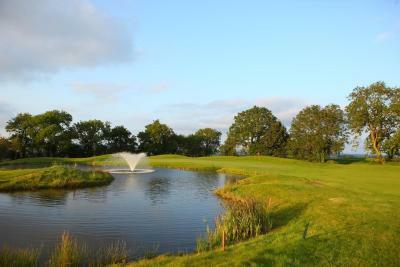 The Blarney Hotel & Golf Resort This rating is a reflection of how the property compares to the industry standard when it comes to price, facilities and services available. It's based on a self-evaluation by the property. Use this rating to help choose your stay! One of our top picks in Blarney.Set among 164 acres of the beautiful wooded Shournagh valley, this world-class Resort, one of the finest in the country, has a lot to boast about. Its stunning location close to the historic town of Blarney in County Cork, steeped in history, legend and rugged natural beauty, would almost be reason enough to visit were it not for its many other attributes. The Resort has an extremely well-equipped Health Spa & Club with a 50 feet swimming pool, tanning facilities, hot tub and steam rooms, not to mention an assortment of treatment rooms, for pampering and relaxation after a long day. 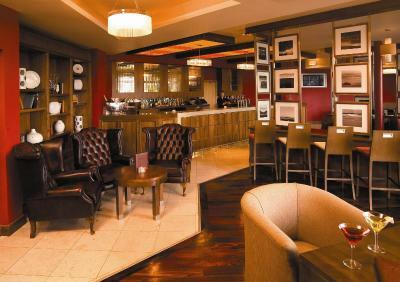 Full Irish breakfasts are served each day, and guests can enjoy a relaxing bistro-style lunch in The Lions Den, located in the Club House. 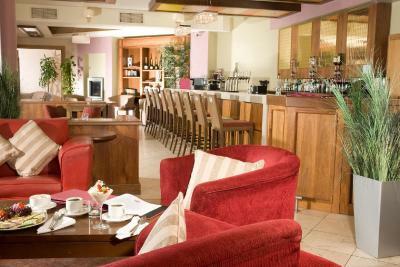 The Inniscarra offers fine Irish Cuisine for dinner each evening, and Cormacs Bar offers snacks and a place to relax and enjoy a cocktail or two before or after dinner. 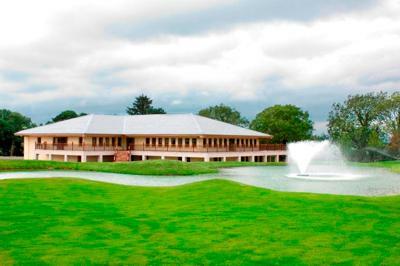 Together with the first class conference and banqueting facilities, this makes the Blarney Golf Resort an ideal venue for corporate retreats and meetings. 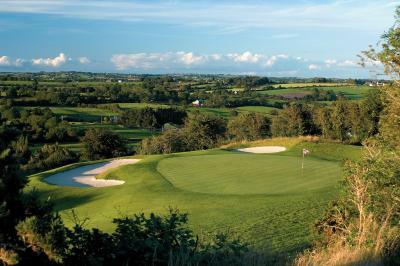 When would you like to stay at The Blarney Hotel & Golf Resort? 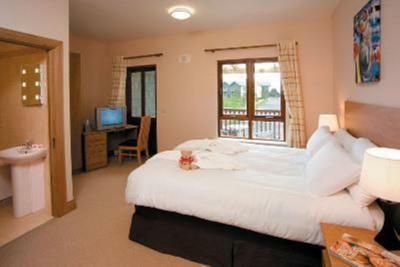 Each Golf Lodge has 1 double room with attached bathroom plus 1 twin room with attached bathroom located on 1st floor level with a balcony overlooking the resort. 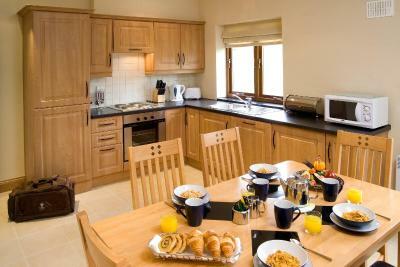 The ground floor of each lodge has a fully fitted kitchen/diner plus living room with free internet access. 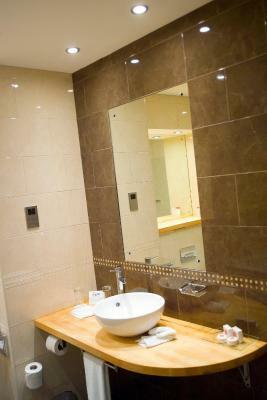 All utility bills plus linen and towels are included plus all residents have free use of The Health Club. 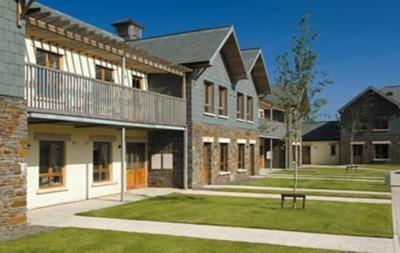 Parking is available outside each lodge for residents' comfort. 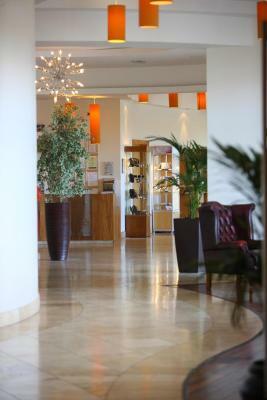 Guests paying by cash will be required to pay a refundable deposit of EUR 250. Enjoy a king bed for single occupancy and private bathroom with bathtub/shower offering luxury and comfort. 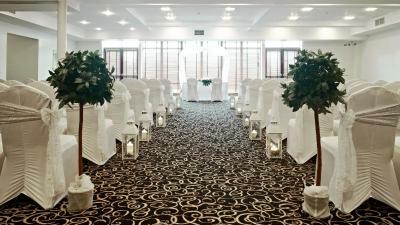 Guests have free use of the health club. 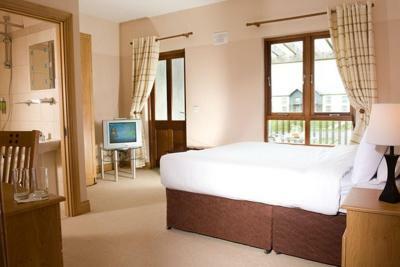 Includes king bed, bathtub/shower and free use of the Health Club. Request double/twin when booking. Subject to availability. This family room has air conditioning, seating area and satellite TV. 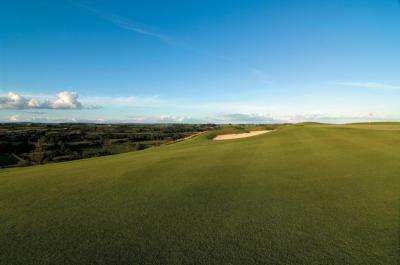 House Rules The Blarney Hotel & Golf Resort takes special requests – add in the next step! The Blarney Hotel &amp; Golf Resort accepts these cards and reserves the right to temporarily hold an amount prior to arrival. The Blarney Hotel & Golf Resort accepts these cards and reserves the right to temporarily hold an amount prior to arrival. No pets are allowed in the main hotel with the exception of guide dogs. Pets are allowed in the lodges and a cost of EUR 12 a night, payable at reception. 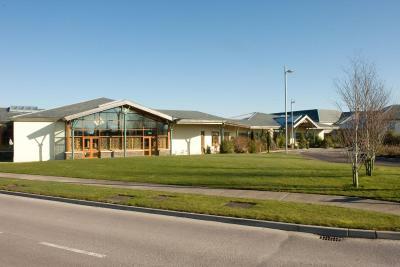 All residents have full use of our Health Club. 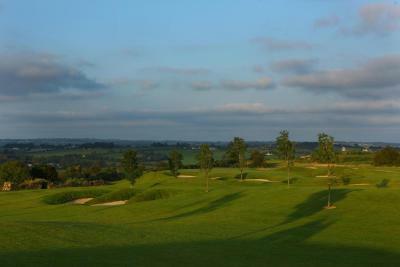 Enjoy a relaxing treatment in our Spa or work on your swing on our exclusive John Daly Championship Golf Course. Fantastic hotel, rooms are very generous, beds are huge and the baby facilities were excellent! Definitely will be staying again! Room was making too much noise (coming from the Transformer when you put your card in so t powers the room) - Called reception 2/3 times and nothing happened. Shower head was awful - splashing water everywhere Too expensive for the service provided. 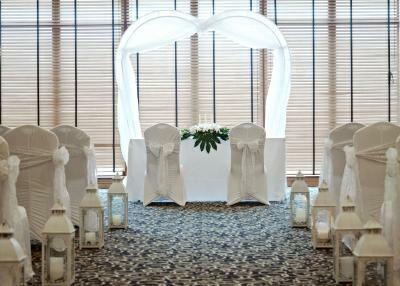 Lovely rooms. Very big. Comfy bed. Good Wi-Fi. Good gym. Asked for a receipt at reception and was told could not get one as booked through bookings.com.. I feel this is not right as wanted receipt leaving for my 3 nights stay with letter head from hotel. I liked everything. Very happy with the hotel. Love the room was massive. Had a king size bed omg amazing. Room was cold when I arrived, room clean but tired, could do with a make over. No extra comforts in the room, very bare & functional. On first impressions it looks like a nursing home. Strong smell of paint as you go towards the rooms on ground floor. 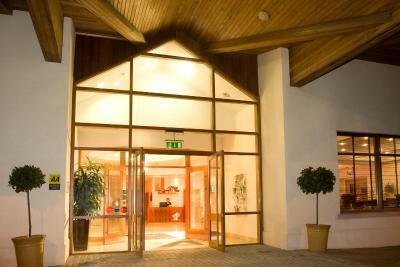 Bathroom and room size was nice, loads of parking space, only 10 min drive from cork city. Very clean building. Lovely staff.